Skipper Ajay Thakur along with Rohit Kumar and Monu Goyat scored raid points with ease to lead India to a comfortable victory. 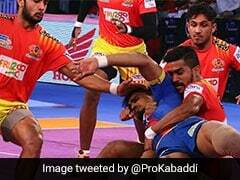 World champions India stormed into the semi-finals of Kabaddi Masters as they beat archrivals Pakistan 41-17. Led by its star raiders and strong defenders, India made easy work of Pakistan as they dominated the proceedings. Skipper Ajay Thakur along with Rohit Kumar and Monu Goyat scored raid points with ease to lead India to a comfortable victory. In defence, it was Girish Ernak who did the most damage to Pakistan as he scored five tackle points. Pakistan can still qualify for the semi-final if they beat Kenya in their next match. Rohit Kumar opened India's account in the third minute while Pakistan's Muhammad Nadeem scored with a raid in the fourth minute. Ajay Thakur got a raid point as India led 3-1 after five minutes. Rohit Kumar scored with a super raid as India extended their lead to 6-1. Pakistan were staring at an all-out when Muhammad Nadeem got a raid point in the seventh minute to trail 3-8. India inflicted an all out in the 9th minute to lead 12-3. Pakistan's defence just couldn't get it going in the first 10 minutes as they failed to score a single tackle point. However, the opened their defence account in the 11th minute to trail 6-13. Ajay Thakur scored another raid point in the 14th minute as India led 15-6. India's raiders did the damage to Pakistan in the first half as they scored 11 points led by Rohit Kumar and Ajay Thakur. India went into the break leading 18-9 at the end of the first half. Rishank Devadiga scored with a two-point raid in the 23rd minute to give India 20-11 lead. 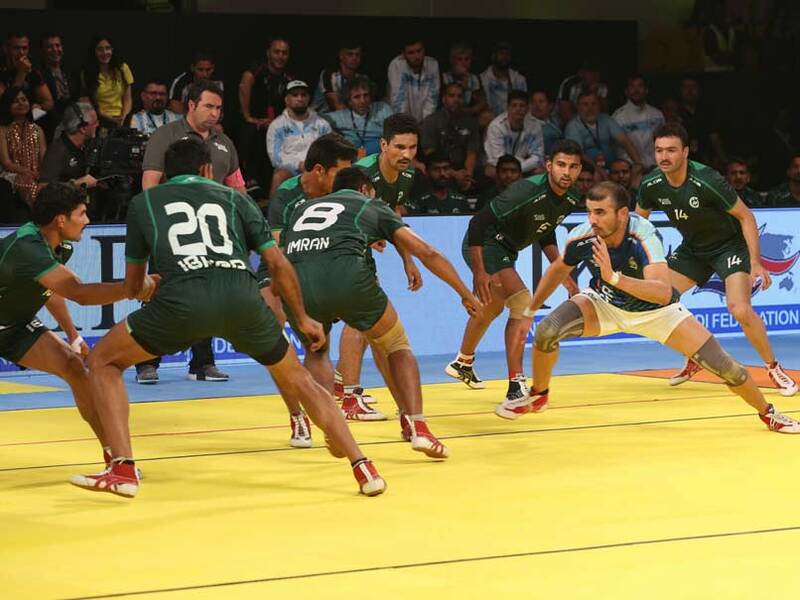 Ajay Thakur scored with a two-point raid in the 25th minute as India inflicted another all out to lead 25-11. It was a comfortable game for India as the defenders and raiders scored points with ease. Pakistan trailed 13-30 after 32 minutes and had little hope of making a comeback. Monu Goyat scored with a successful raid in the 34th minute to give India 32-14 lead. Pakistan forced a super tackle in the 35th minute to cut the lead to 16 points. Monu Goyat got another two-point raid as India inflicted another all out in the 37th minute to lead 38-16.